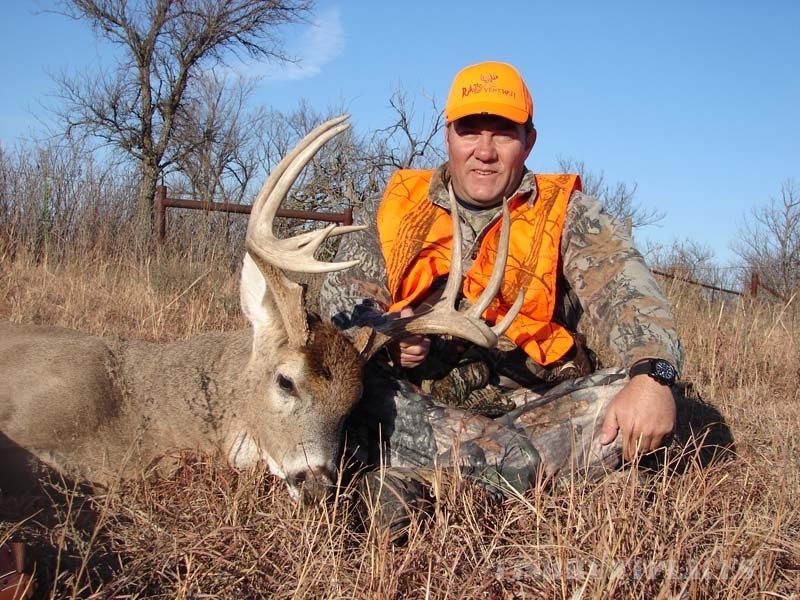 We are a small outfitter in Southeast Kansas offering guided whitetail hunts for archery, muzzle loader, and rifle hunters. 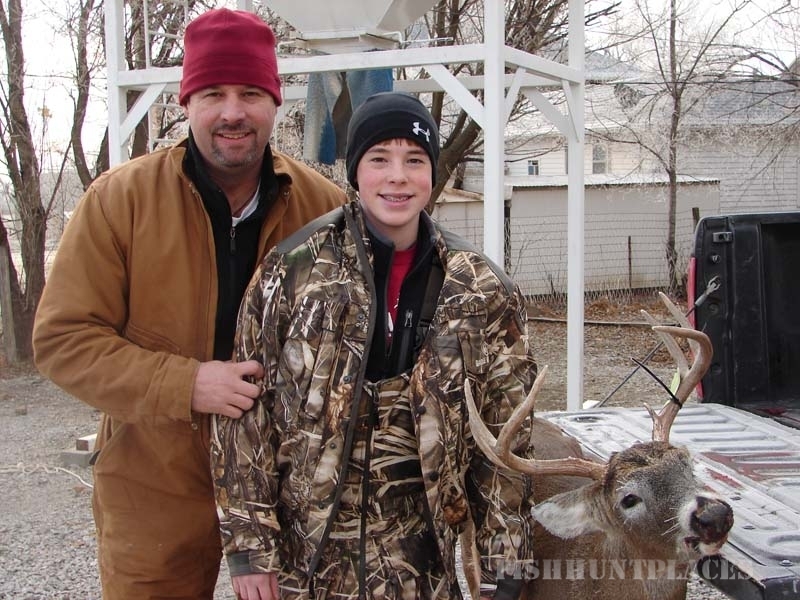 Our primary goal is to provide our hunters with an opportunity to harvest a trophy whitetail. Thus, we strive to maintain a quality deer herd. We regularly utilize game cameras to pattern and target specific deer. In addition, we limit the number of hunters to 12 (4 archery, 4 muzzleloader, 4 rifle). 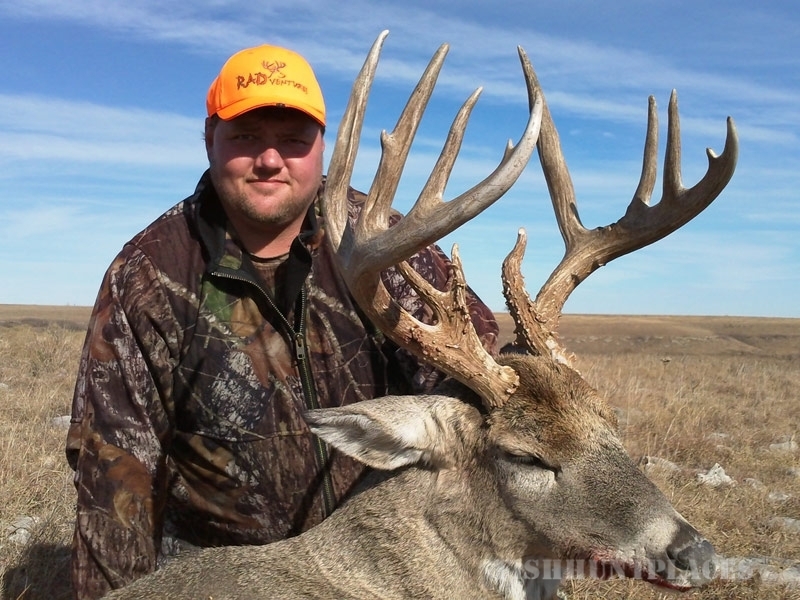 We prefer to only harvest mature bucks, which usually results in racks over 140 inches. As our past success shows, we are growing some awesome bucks in our area. Our feeding program keeps deer close and promotes daytime activity. We feed over 100,000 pounds of corn each year at 16+ feeding stations on over 4000 acres. Some hunters are opposed to hunting over corn. If you would rather hunt a travel corridor, we can accommodate that as well. We only guide 12 hunts per year and spots fill up quickly, so call and begin your RADventure today!